Back on the market! A great investment opportunity! The property is currently fully occupied. This property is a multi-family home (6 units) that is 4,802 sqft which sits on a 8,441 sqft lot and features 8 bedrooms and 6 bathrooms. This property was built in 1949. Nearby schools include Los Angeles Elementary School, Sound Of Music Preschool and Bishop Conaty-our Lady Of Loretto High School. The closest grocery stores are Smart & Final, Food4Less and Olympic Korean Rice Cake. Nearby restaurants include Road to Seoul, Sopita Ramen and Yetgol. 1226 S Manhattan Pl is near Seoul International Park, Normandie Park and Benny H. Potter West Adams Avenues Memorial Park. 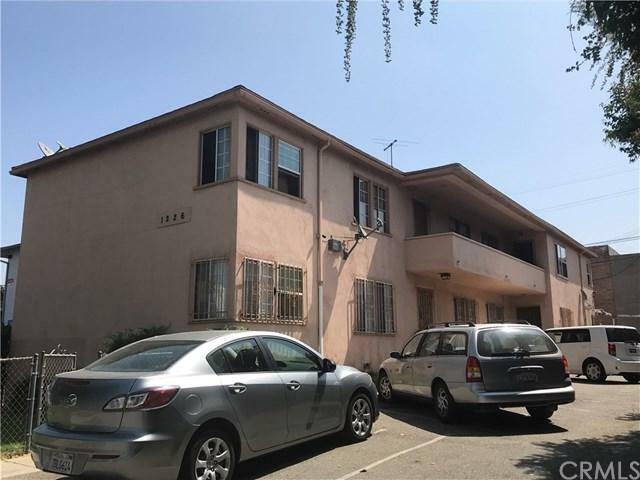 The property is only minutes away from Staples Center, L.A. Live, Los Angeles Convention Center and only 10 minutes away from USC, and a few minutes away from 110 and 10 freeways. Listing provided courtesy of Maki Saito-Akabane of Person Realty Inc.